When we feel different emotions, the blood flow in our faces changes. This creates subtle colour changes, which other people can pick up on. In fact, according to new research, people can correctly identify someone’s emotions from these colour changes up to 75% of the time. Being “blue in the face” with anger could hold more truth than just being an old idiom. Sometimes it can feel like people are incredibly in tune with our emotions – so much so that they can pick up on our feelings, even if we feel like we’re hiding them pretty well. As it turns out, our faces could be revealing the truth in a way you might not expect. According to new research, our blood flow responds to our feelings, which results in changes in the patterns of colour on our faces. 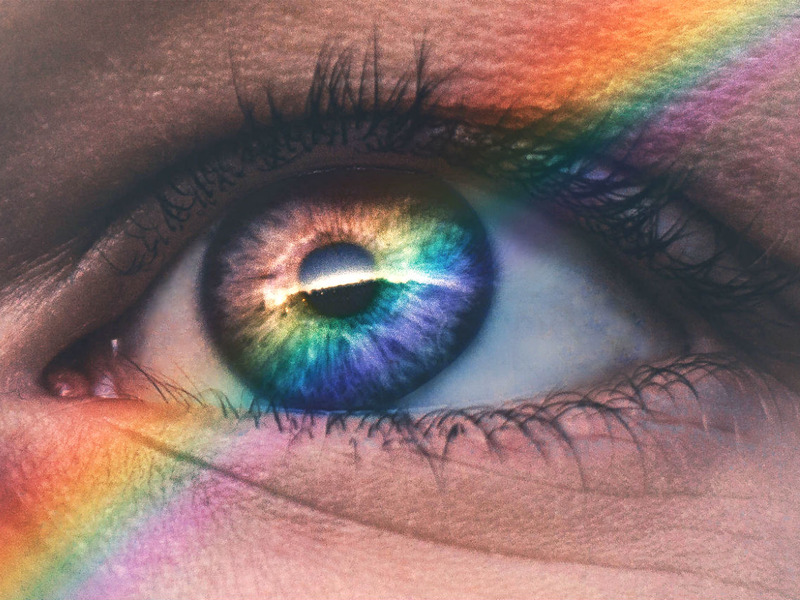 The study, published in the journal Proceedings of the National Academy of Sciences, found that people can correctly identify each other’s feelings up to 75% of the time, just by looking at these subtle changes in colour. The researchers then designed a computer algorithm that can recognise human emotion up to 90% of the time. 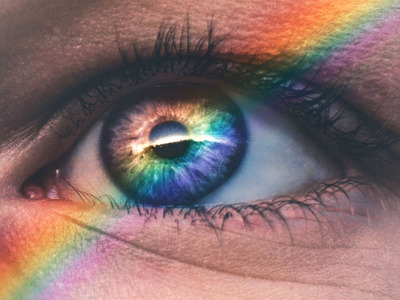 For the experiment, the team took hundreds of pictures of facial expressions, and separated the images into a red-green channel and a blue-yellow channel – which are how human eyes see colour. 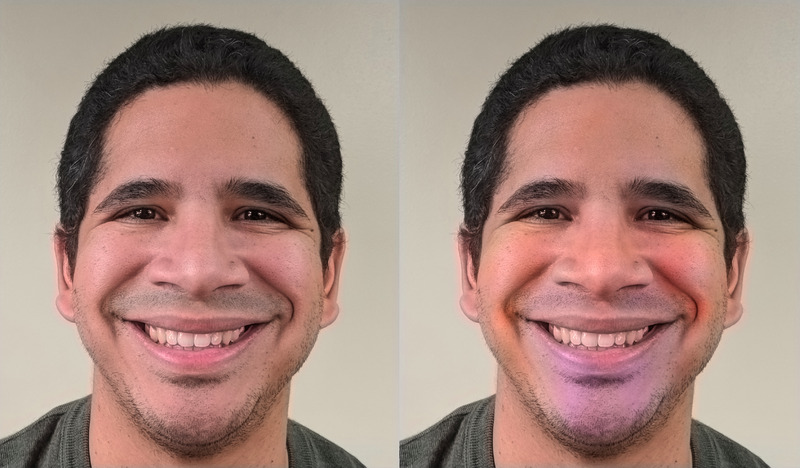 A computer analysis showed that emotions such as “happy” or “sad” formed their own unique colour patterns, while gender, ethnicity, and skin tone made no difference. 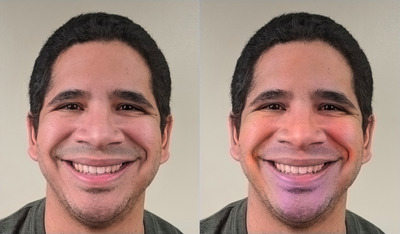 The researchers then removed any social cues, such as smiles and frowns, by superimposing the unique colour patterns on pictures of faces with neutral expressions. Participants chose from 18 emotions, including “sadly angry” and “happily surprised,” and they guessed right most of the time, according to the researchers. When the expressions and colours were mixed up, such as a happy face with angry colouring on it, or vice versa, the participants reported that something seemed “off” about the image, but they couldn’t put their finger on what it was. “We identified patterns of facial colouring that are unique to every emotion we studied,” said Aleix Martinez, a professor of electrical and computer engineering at The Ohio State University, and one of the authors of the study. The Ohio State UniversityThe colour pattern of a ‘happy’ face. Happiness was the most easily identifiable emotion, with the computer identifying it with 90% accuracy. Emotions related to happiness, like “happily surprised,” came second at around 85%, then anger at 80%, and sadness at 75%. “Fearfully disgusted” was the least recognisable, which was correctly identified 65% of the time – which is still relatively high. The study suggests that old sayings and idioms like “feeling blue” could carry more truth than we first thought. Red, green, blue, and yellow in different amounts and locations can characterise nearly every emotion, according to the research. “There’s a little bit of every colour everywhere,” said Martinez.